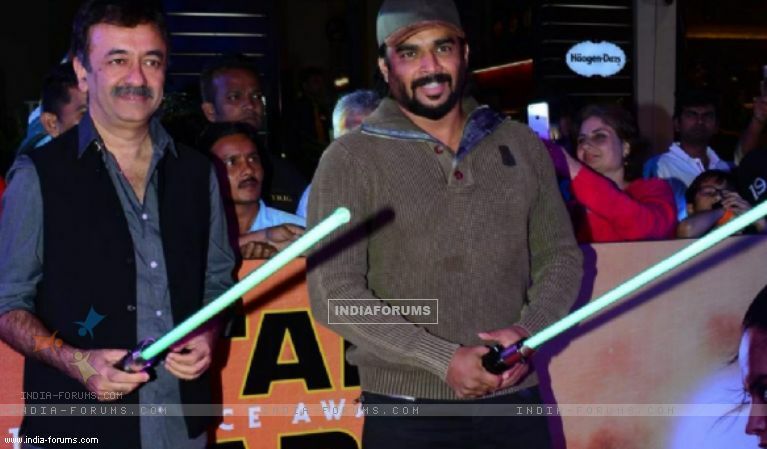 B-town grace the exciting Star Wars: The Force Awakens India Premiere! After taking over the global box office by storm amassing more than 500 million already, the epic franchise Star Wars: The Force Awakens is all set to release in India on 25th December. Ahead of its India release, Mumbai saw a glittering and exciting premiere at one the top multiplexes of the city!! With a fascinating march by arch villain Darth Vader and his army of Storm troopers in the beginning of the premiere, the event saw a star studded presence of guests like Aamir Khan, Kiran Rao, Rajkumar Hirani, R. Madhavan, Kalki Koechlin, Amit Sadh, Karanvir Bohra, Elli Avram, Sonali Bendre, Goldie Behl and more enjoy the movie!! Star Wars: The Force Awakens releases on 25th December in India. Happy b-day 'first friend in Mumbai': SRK to Anil Kapoor Top 10 Bollywood Controversies in 2015!